If you google “convert DVD to files” you will get a myriad of option coming up, such as “how to rip your DVD”, “the best ripping tools”, “how to convert AVI files”, “DVD ripping FAQ” and many more. Today, there are many ways one can convert their DVDs to files (or “rip” in lingo talk). So which one should YOU choose? The first question you want to ask is WHY. There could be a number of reasons why converting your DVD to files or PC would be a good option to go. Perhaps you want to share some of your memories with others. Perhaps you are looking for another archiving solution. And perhaps you are seeing that new computers are no longer equipped with DVD drives, and new mobile devices simply do not have them. Either way, converting your DVDs to files may be an important for you. A true strategy for successfully converting your DVDs to files would factor in such considerations as WHERE would I store these files? After all, it would serve one very little to have them convert their DVDs to files and PC (or Mac) only to find out later that somebody deleted their files. Since file space is completely virtual (non-physical), files can be instantaneously deleted. In addition, saving them into an old and shaky drive can simply mean that the drive may fail soon. It is always recommended that you buy a brand new drive and keep it away from family members, friends etc. We at ADVANCED MEDIA, recommend the LaCie & G-Technology brands. When you think about file type, you want to go back to question #1 – WHY. Internet sharing purposes are much different than archival purposes, which in turn are still different than file editing purposes. Since there are so many file types today, knowing which type you need will play a very critical role. The #1 rule of file space is that each file to file conversion reduces the image quality. Make sure you know ahead what file type to use. 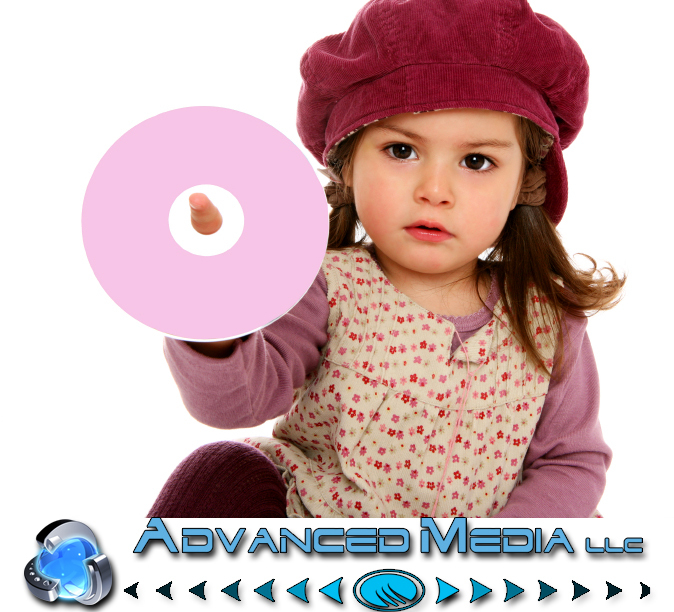 Contact us at ADVANCED MEDIA for additional help. Once you have figured out everything else, you are truly ready for this phase – WHAT process to choose. You can do it yourself following directions on the internet. You can buy software or hardware that can help you achieve these goals. Or, you can use a professional company to help you get EXACTLY what you need.